The following is a post from Angie. 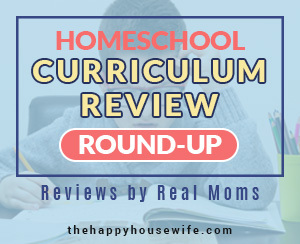 In my capacity as founder/editor at The Homeschool Classroom, I find that we frequently get asked on our Facebook page about how to start formal schooling with very young children. While I am not personally a proponent of formal schooling at a very young age, I think that lots of exploring, music, games, and reading are wonderful ways for young children to learn. Some basic skills, however, that are also great fun to work on are colors, shapes, letters, and numbers. 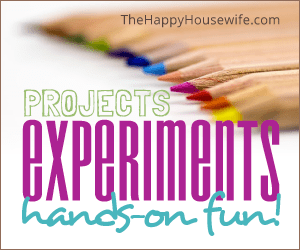 The colors and shapes activities that I’m sharing today are hands on activities that will make learning fun and interactive. Some of them can get messy with very young children, so plan to be with them. Art activities are boundless when it comes to the ability to work on naming shapes and colors, from coloring, to finger painting, to sidewalk chalk, and so much more. Art, by its very nature, is often about colors and shapes. 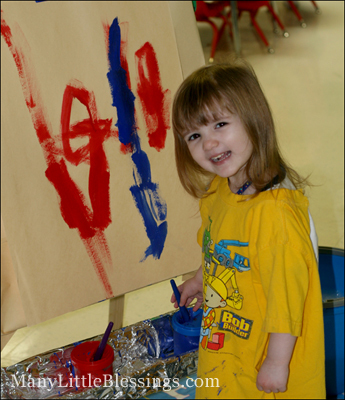 For younger children, talk about colors and shapes during art projects. Allow them time to just work, but also take time to ask them about the colors or shapes they are using. 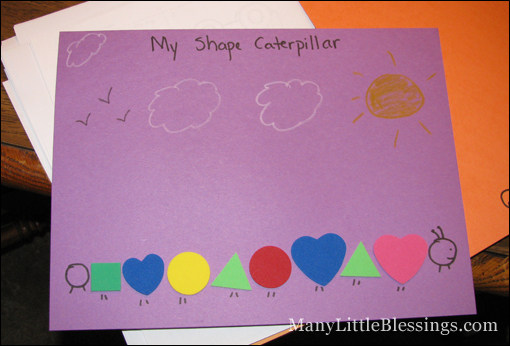 For older children, you can move on to harder, more complex shapes as well as concepts like color mixing. 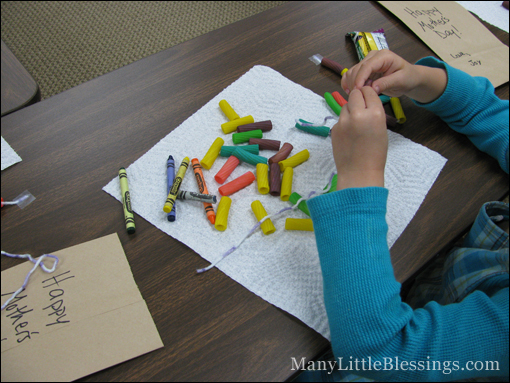 While these are also art activities, these are a fun thing for slightly older children (preschool and kindergarten). I worked on this with my preschool-aged co-op class once, and they had a ball. (Kids love their glue sticks!) We used foam shapes in a variety of colors and worked on everyone recognizing the shapes and colors that they used on their papers. This is one that I did with my children of a variety of ages. While I wasn’t worried about the older ones naming shapes, my youngest and I talked about the shapes and colors on the page. 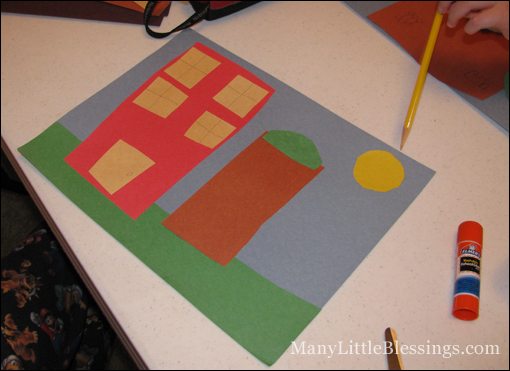 In this particular activity, we worked on making buildings by cutting various shapes out of construction paper and putting them together to make the finished product. This is also a great activity for working on scissor skills. 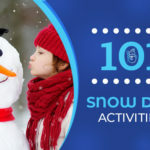 While some people may not think to do this with boys, I have found in my co-op classes (and at home) that young boys liked doing these activities just as much as the young girls. If you are working with small children, of course, they will need constant supervision as some small pieces could be a choking hazard. 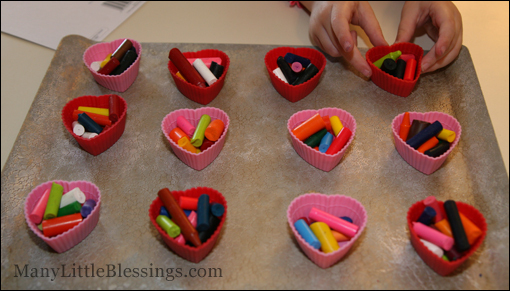 These are good not only for colors but also for fine motor skills. Some Pop Bead sets come with various shapes as well as the traditional rounded shape. Pony beads are also available in various shapes and colors. 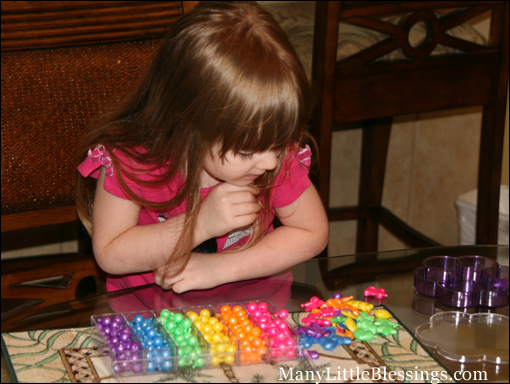 Whenever I use them with younger kids (or even older ones), I like to tape the end of a string to the table so they don’t get frustrated by the beads falling off the other end. 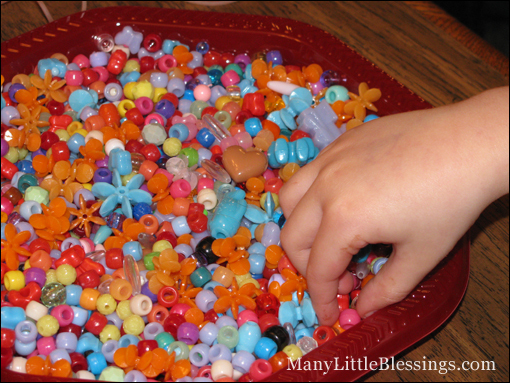 Keep in mind that sometimes beads of this size are discouraging to young children. The homemade worksheet is where the sorting took place. For older children (preschool and kindergarten), it can be a nice reinforcement to do an occasional worksheet or activity book to solidify colors and shapes. 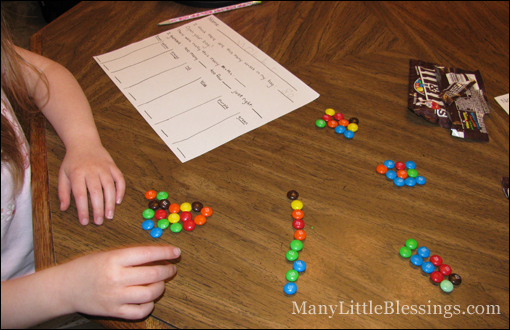 I really enjoyed this colors worksheet from Mama’s Learning Corner, as it worked on matching up color names (and then working on the spelling of those) with the color. Lauren also has worksheets on sorting shapes. 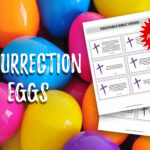 And, of course, The Happy Housewife has dozens of free printables for all ages here! The ways to work on colors and shapes for all ages are too numerous to share in one whole blog, let alone one blog post. I would love to hear some of the activities that you’ve done with your children while working on various aspects of learning about colors and shapes.